Dear Uncle Dave: I Can't Stop Looking at Myself - March 21, 2018, 2:12 p.m. I'm not the most exciting rider to look at, but I've been having fun shooting self portraits. I got myself a $100 radio (as opposed to IR so it doesn't need a direct line of site from remote to receiver) remote/receiver combo on B&H a few years ago. I just tape my remote under my grip where I can press the trigger with my thumb. Kaz's 'Ride the Lightning' Santa Cruz Bronson - April 1, 2017, 5:57 p.m. I got it as a frame, and I converted my float ctd that I already had to a DPS. I also already had a 34 150mm, so I got the retro air assembly and raised it to 160. Kaz's 'Ride the Lightning' Santa Cruz Bronson - March 31, 2017, 2:06 p.m.
What do you mean? What's wrong with the Float 34? 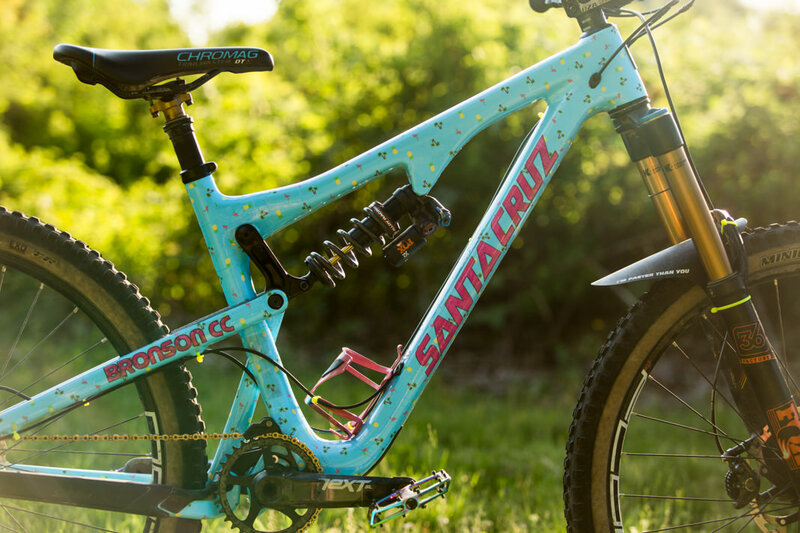 Kaz's 'Ride the Lightning' Santa Cruz Bronson - March 30, 2017, 9:23 a.m. It's a big sheet that I get printed at the print shop; for this one I got a 46"x32" sheet. Afterwards, it's just measuring each tube/stay on the bike and cutting. Airs and Alleys - Feb. 27, 2014, 12:50 a.m. Weekend Warmup - Feb. 10, 2014, 9:14 p.m.
Brendan Howey: No Mistakes - Feb. 6, 2014, 9:30 a.m.
MTB Reaction GIFs Vol. 3 - Jan. 8, 2014, 5:24 p.m. Looking Back and Moving Forward - Dec. 12, 2013, 2:39 a.m.
Wishing you a speedy recovery Mark. Hope to see you back on the trails soon! MTB Reaction GIFs Vol. 2 - Dec. 9, 2013, 11:16 p.m.
Re: NSMB - 2017 - Full Suspension Bike Thread - May 31, 2018, 4:31 p.m.
Hey Kaz just curious - do you ride your Bronson at WBP or do you procure something bigger for such adventures? I do ride my Bronson in the bike park; when I first got it I had a downhill bike so I justified going for the 150mm Bronson instead of something bigger. I've since sold my DH bike and turned the Bronson into my do-it-all bike, and I have no regrets. I did up-size some parts like a longer fork, bigger chainring, and a 203mm rotor up front. There are a few moments I wish I was on a bigger bike, but I've been having so much fun on a smaller bike. Re: NSMB - 2017 - Full Suspension Bike Thread - May 30, 2018, 4:55 p.m.
Had them special ordered from Dunbar Cycles. The distro's only bring in a handful so it's a hard find. They don't make them in WT's though, so I'm going to go back to regular tires in WT. Re: NSMB - 2017 - Full Suspension Bike Thread - May 15, 2018, 5:30 p.m. Same same as last year, but new new vinyl wrap for the season. Found A Phone On Seymour - April 14, 2017, 8 p.m.
Found a phone on the pump track section between Incline and the powerlines on Seymour. Let me know what phone and case and I'll get it back to you. 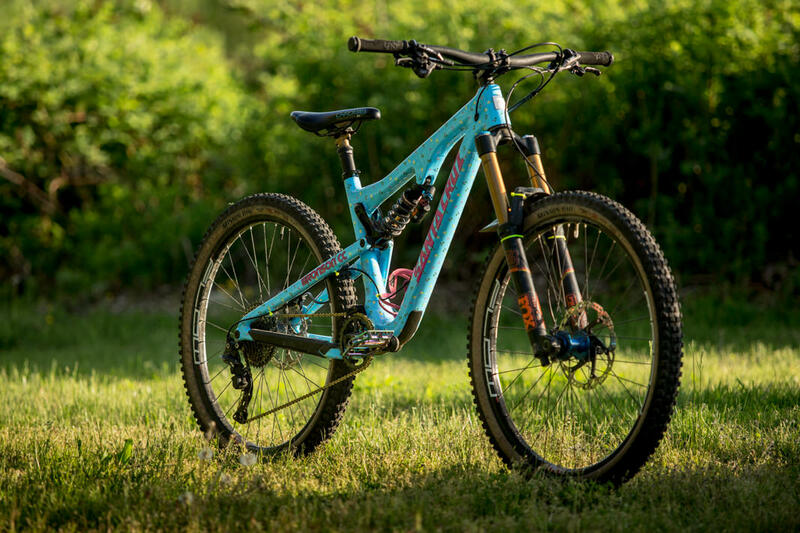 Re: NSMB - 2017 - Full Suspension Bike Thread - March 8, 2017, 1:49 p.m. 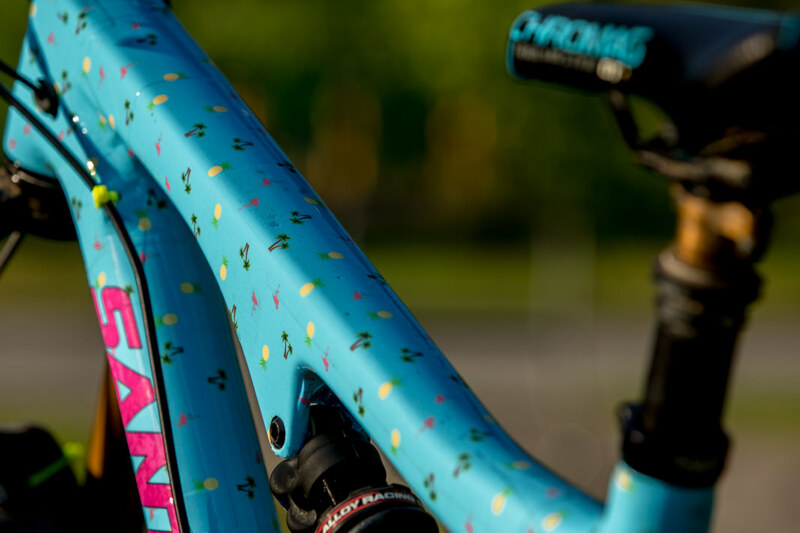 Yes, a very nice paint job on the bike. What's the cost to get something like done and where? It looks like you have ditched the Reverb dropper. Is that a Fox dropper on there? After hearing the pros and cons on the Reverb I was planning on running the stock 150mm Reverb dropper that came on my Bronson, but after a handful of rides it crapped the bed. I picked up another Lev Integra as I have had relatively good luck with KS products. Going to get the Reverb fixed and sell it. The one good thing that came from the Reverb is how the push button under the bar was so much better than the standard KS Lev lever on top of the bar. The Lev I picked up had the Southpaw lever with it, so nice as compared to the stock lever. I've personally had some bad luck with Reverbs and KS posts, so I decided to go for the Transfer - plus it matches my front and rear uppy-downy bits (and comparable cost to a reverb). I also never really liked the Reverb remote; it felt like it needed a little extra thumb power to start to push the remote, plus it sticks out a little too much for my thumb's liking, whereas the Transfer remote just feels like a regular shifter. That is really cool. 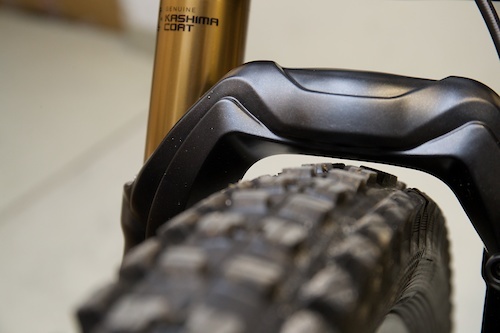 I agree with your points on the dropper levers. I bought a Wolf Tooth lever for my post and love it. If one wanted to just get plain black or red, where would one get this wrap? I would try Amazon for that. They usually have 30ft long rolls at 1 foot wide, which should be more than enough to wrap around any tube on most bikes. Michael's has a bunch of plain covered vinyl, but they're only 6'x1', and pretty darn overpriced. If you want a specific colour shade, you could try most print shops - they usually charge around $5 per square foot. I got 10 square feet printed and it was just enough to wrap my bike. Re: NSMB - 2017 - Full Suspension Bike Thread - March 8, 2017, 10:38 a.m.
Re: NSMB - 2017 - Full Suspension Bike Thread - March 7, 2017, 5:53 p.m.
dh 29'ers - Nov. 30, 2016, 3:57 p.m. So is the Fox 40 in 29 official then? The only thing keeping the Wreckoning from being a full-on DH bike is lack of a proper fork. Nothing official from Fox. Neko's Float 40 arch arch is milled out to accommodate the bigger wheel, and there's almost no clearance with the Alutech bike. Any new MTB movies coming out anytime soon? - Oct. 3, 2016, 1:23 p.m.
Freeride Ent. is coming out with one in the spring I think. Not sure if they are filming all new stuff or re-using footage from their old films. Anthill just did Not2Bad so I don't think they have any full-lengths coming out until at least 2018. 31.8mm vs 35mm is bigger really better?? - Jan. 26, 2016, 12:07 p.m.
35mm bars are usually lighter than their 31.8mm counterparts. I say usually because the new 35mm Chromag OSX Fubars are heavier than the 31.8mm OSX Fubars.